Thanks for all your kind comments on my $10.00 Frenchy Olive Bucket. Can you believe where I purchased it. If you missed the post you can see it HERE. just a few of the most viewed. 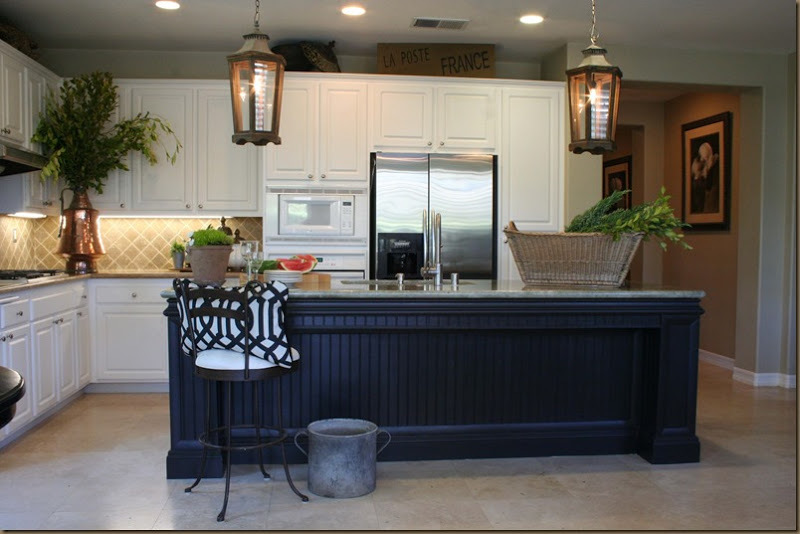 You have to check out this gorgeous kitchen remodel done by Laurie at Bella Inspiration. 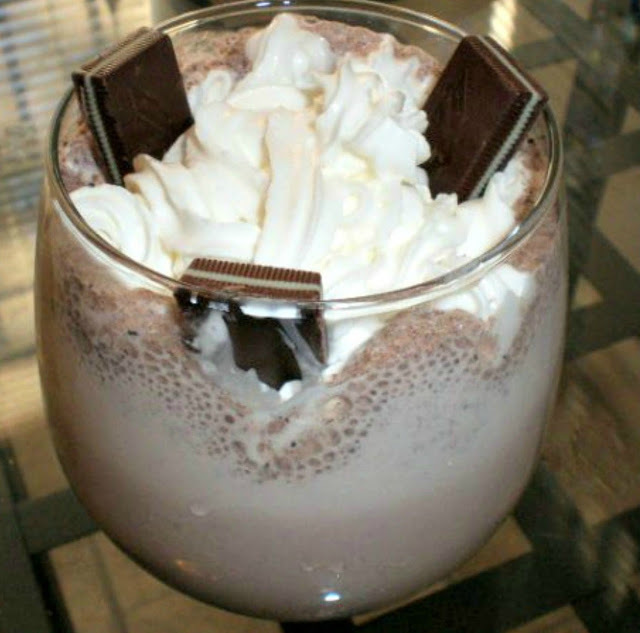 Seher @ Simply In Control shared this yummy mint chocolate chip drink made with Andes thin mints. 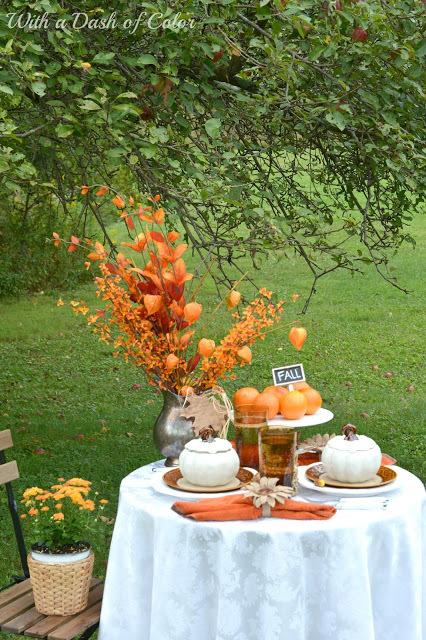 How pretty is this Fall table by Poppy at With A Dash Of Color? What a perfect setting! Thanks for hosting, Sherry! Hope you're having a great week! Hope you are having a beautiful start to the fall season! andes mints? oh gosh, have to go check this out! thanks so much for hosting, Sherry!! Sherry, these are lovely features! Thanks so much for hosting! Have a great week! Thank you Sherry once again for another super party! Wishing you a great week! Great bucket Sherry, and great deal. Thanks for hosting! Already seeing lots of fun projects here. Love that bucket, it's terrific and a nice deal too! Nice features this week. Thank you dear Sherry for the great party. Thank you so much for hosting, Sherry! Thanks for hosting…I love that kitchen you featured, especially those lights…there is a lot of great talent to check out tonight – hope you enjoy the rest of your week! Hi Sherry, thanks so much for the party! Sherry, Thank you so much for hosting. 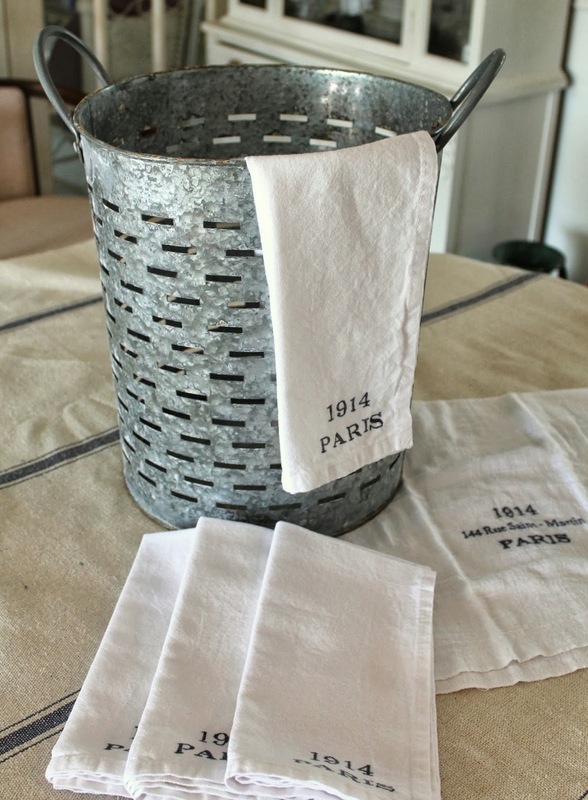 Love the bucket and the linens. Today, I am introducing my new, one and only granddaughter. Thanks for hosting Sherry! Excited to share my DIY bar cart! Sherry, another great party, thanks so much for hosting! What a fabulous deal on that bucket Sherry! Thanks for hosting Hostess with the Mostest! Yay I linked up for the first time in months!! Woo hoo glad to be back for the party. Sherry, thanks for hosting this party each week. Wonderful inspiration! Hello Sherry! Thank you very much for hosting! Great features. Such a lovely fall table setting and thanks for the party! "Olive" you basket! (I love 🙂 Thank you for hosting! Thanks for hosting…..I just LOVE seeing all the fall inspirations! Thanks for hosting Sherry. Enjoy the rest of your week. 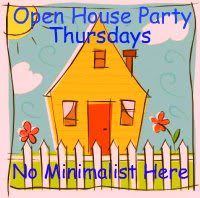 Sherry, thanks so much for hosting this beautiful party each week. We really do appreciate you and all you do! Such amazing features from amazing talented bloggers! Beautiful features, Sherry. Thanks so much for hosting! Hi Sherry! What a great party! Love the features and the drink looks yummy! What a kitchen in the first photo. Looking for houses must be exhausting! I hope you find one soon. Maybe take a little break? Wow, what a fabulous deal on your olive bucket. so happy for you! Thanks for hosting the party.